Now you can double your charm bracelet wearing experience with our New Mega Link Custom Photo Charm. Our stainless steel mega link allows your Italian Charms bracelets to actually stay together and look like one bracelet. 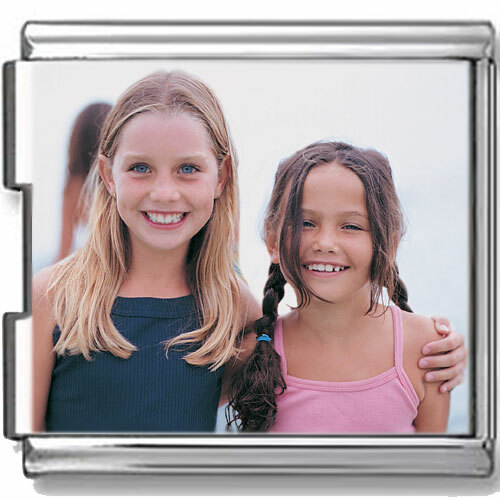 Using a state of the art technology, your custom photo is set into the Mega Link charm with an enamel coating. This process gives your unique photo a finished look and polished feel. Please email your photo to: ShopJewelry@gmail.com .